1.6 SE 5d AUTO 118 BHP 0% Deposit Plans Available even if you Have Poor/Bad Credit or Low Credit Score, APPLY NOW! Featuring sweeping exterior contours and serious road presence, the Hyundai i30 will ensure that you arrive at your destination in style. Well built, with a refined and comfortable interior plus a well-specced cabin, the i30 is a solid and reliable family car. 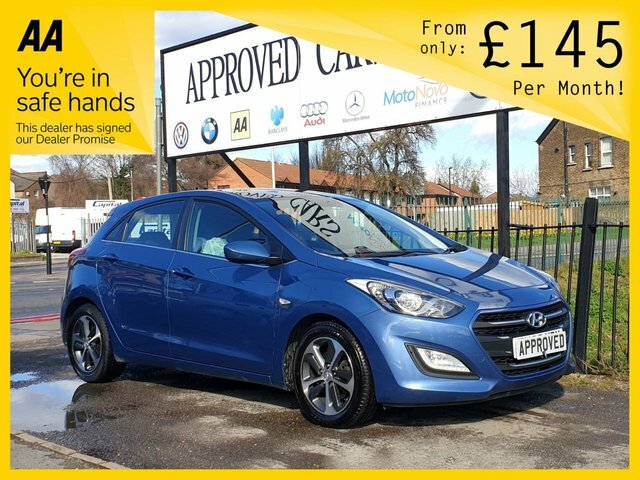 Discover whether this practical family hatchback is the one for you by paying a visit to Approved Cars today. At our showroom you'll find a great selection of quality used Hyundai i30 models for sale, with options to suit a whole range of budgets. Call, get in touch online, or pay us a visit in person to get your search underway.